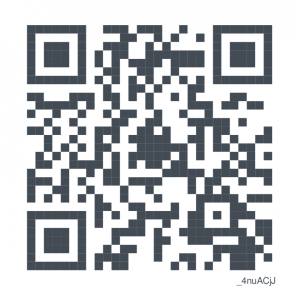 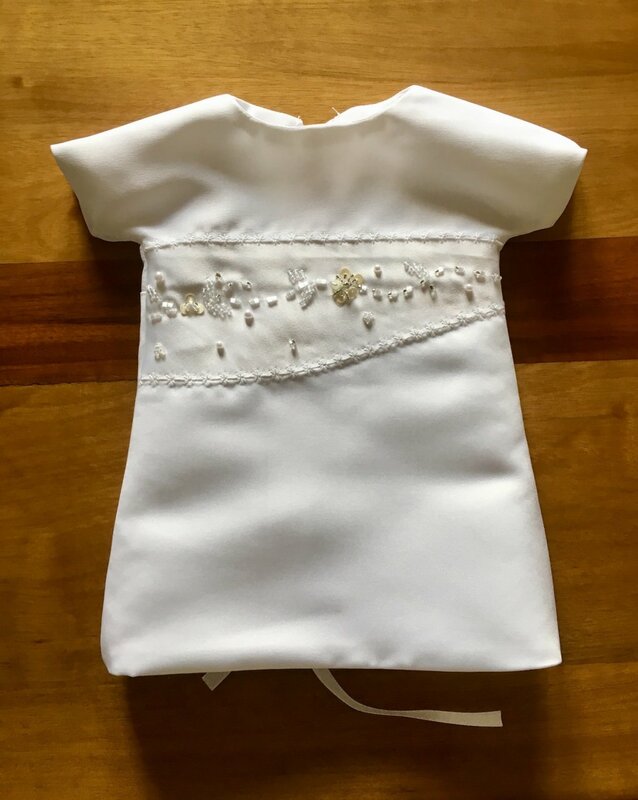 I first met Carla during the initial stages of building The Angel Gown™ Initiative. 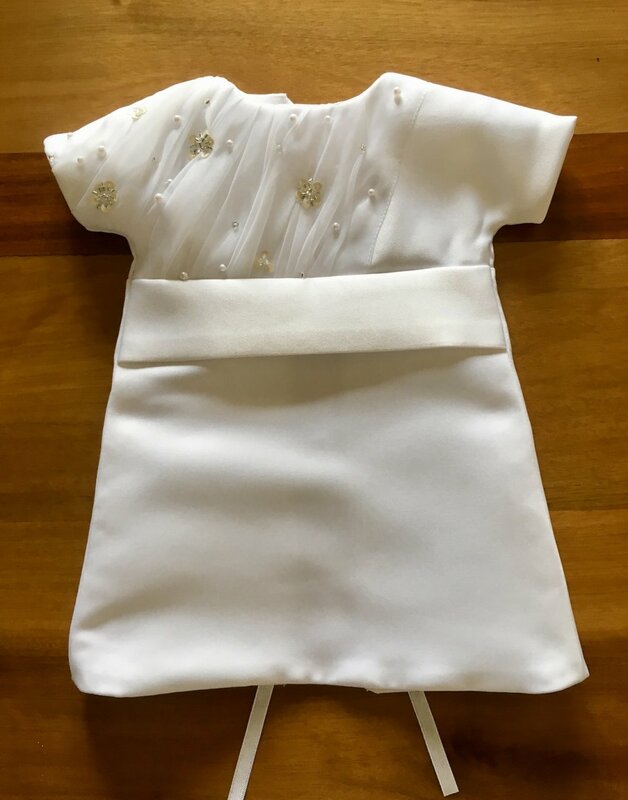 She works as a Patient Experience Manager at Mediclinic Stellenbosch, the third hospital we approached about donating our Angel Gown™ garments to. 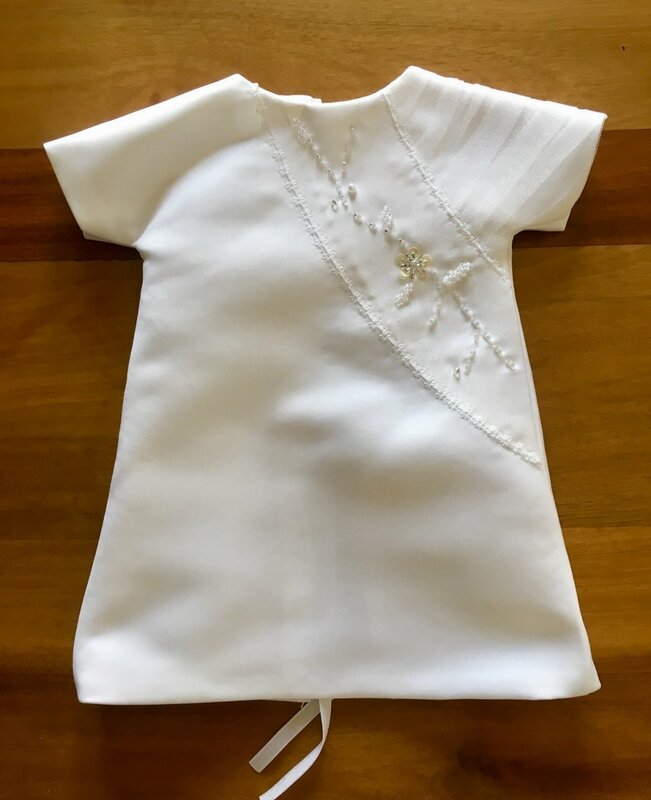 The first hospital we approached did not have a operational NICU at the time and the second led to communication problems. 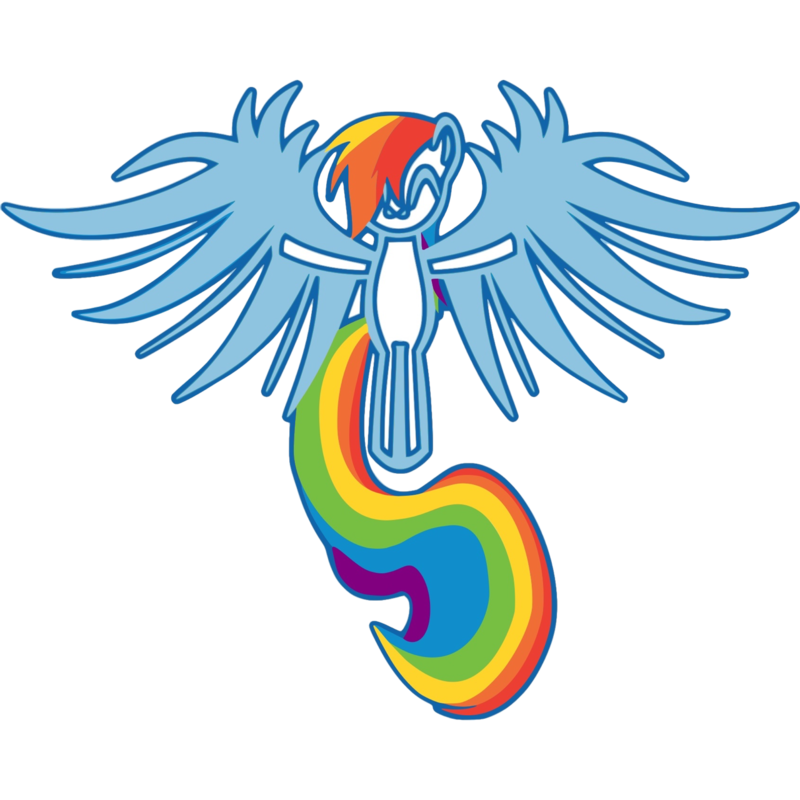 At the time this was still a very new experience for me, I was uncertain how the hospitals would receive it, what kind of rules and regulations they have that would govern something like this and just a general good amount of nerves due to excitement and the unknown. 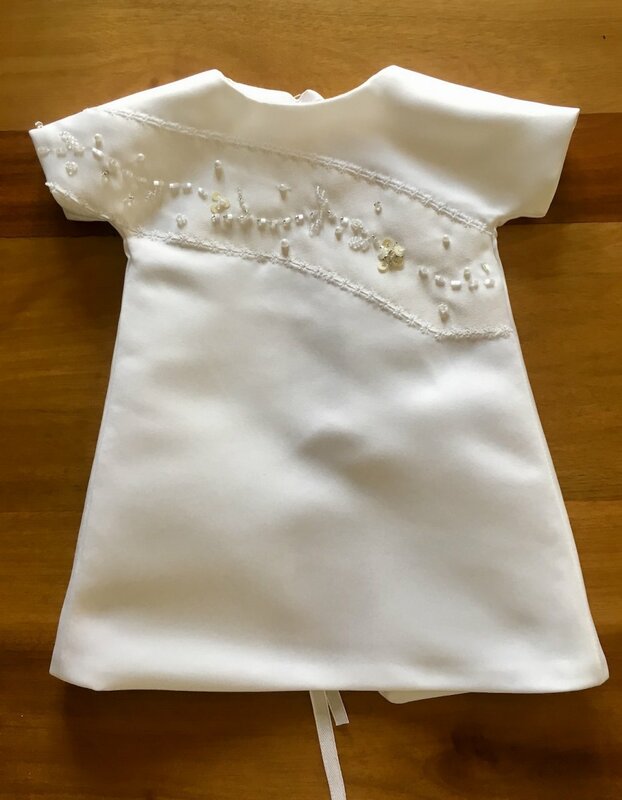 As Angel Gown™ garments are still a relatively new concept to hospitals in South Africa, Carla had as many questions for me as I had for her. 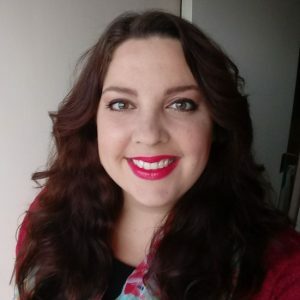 Carla Hanekom – TAGI Ambassador and Mediclinic Liason. 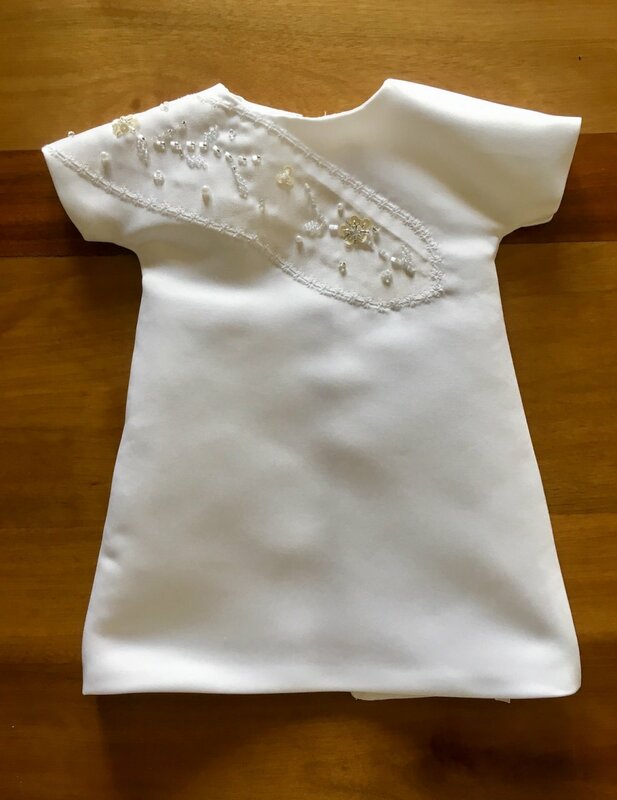 She was instrumental in helping us lay the foundations for how to work with hospitals, she has helped us so much (and still do) to introduce and distribute Angel Gown™ garments to the Mediclinic network, understanding the medical industry, she is also one of our TAGI Ambassadors and we have given her the title of our official Mediclinic Liason. 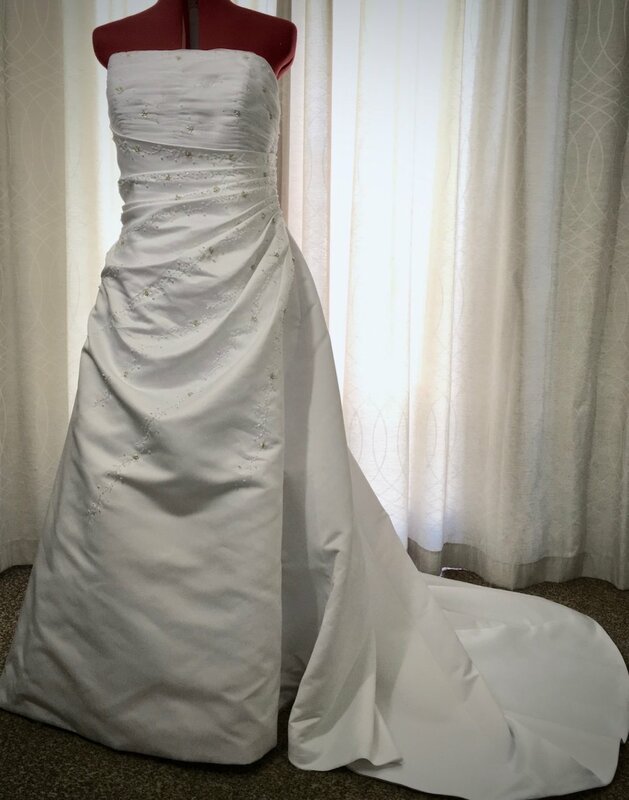 When we delivered their sample set, which usually only consists of one Angel Gown™ per size, she also donated her wedding gown to us, and although we don’t do special directions for Angel Gown™ garments, we decided that some of the Angel Gown™ garments repurposed from her wedding gown will be directed to Mediclinic Stellenbosch on their first full set. 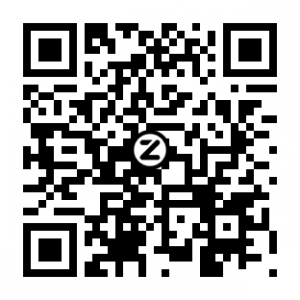 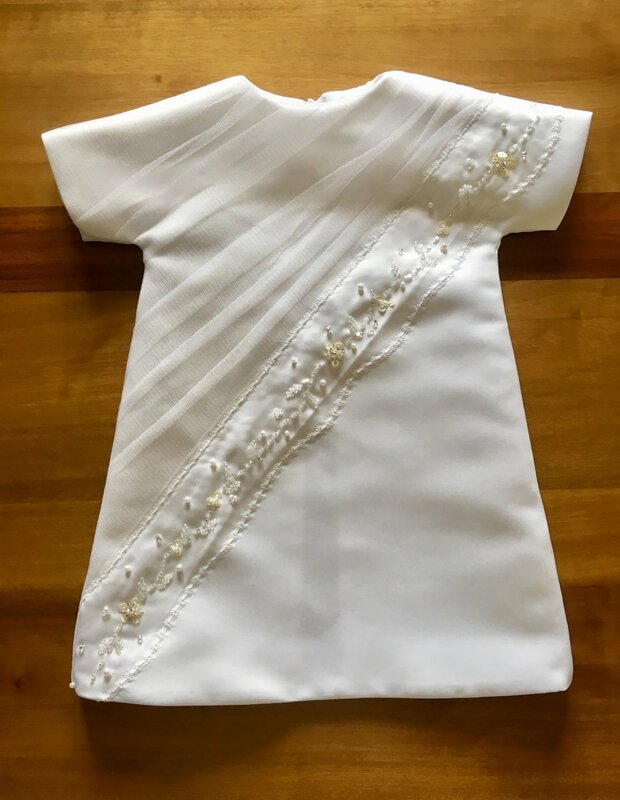 Thank you Carla for your donation and continued support in helping TAGI grow and connecting with the Mediclinic network. 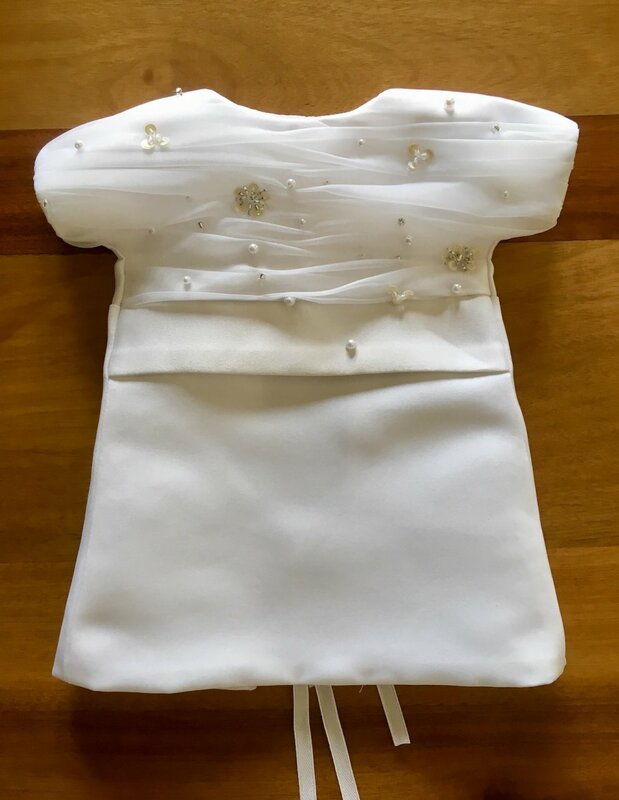 Carla’s wedding gown was done in white duchess satin in an off-the-shoulder A-line style and finished with ruche detail, hand beaded detail, a back zipper closure and chapel length train. 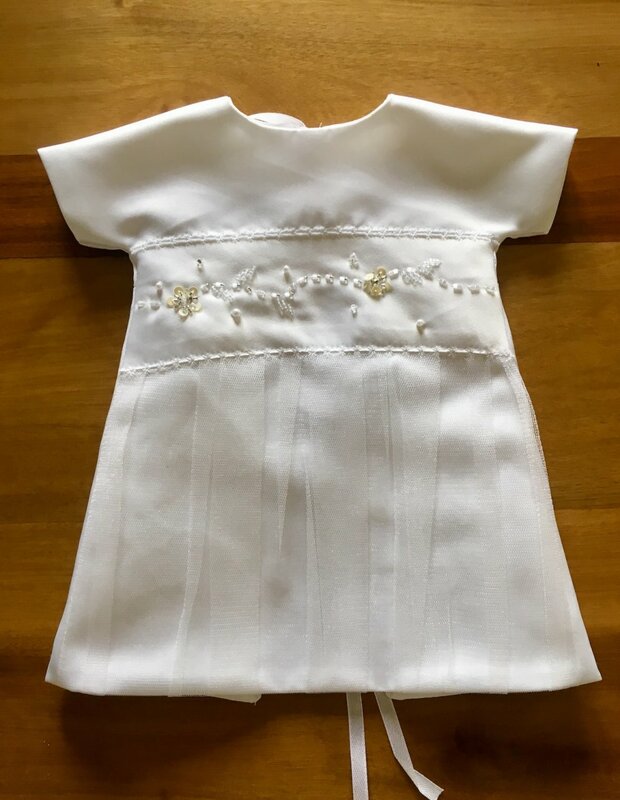 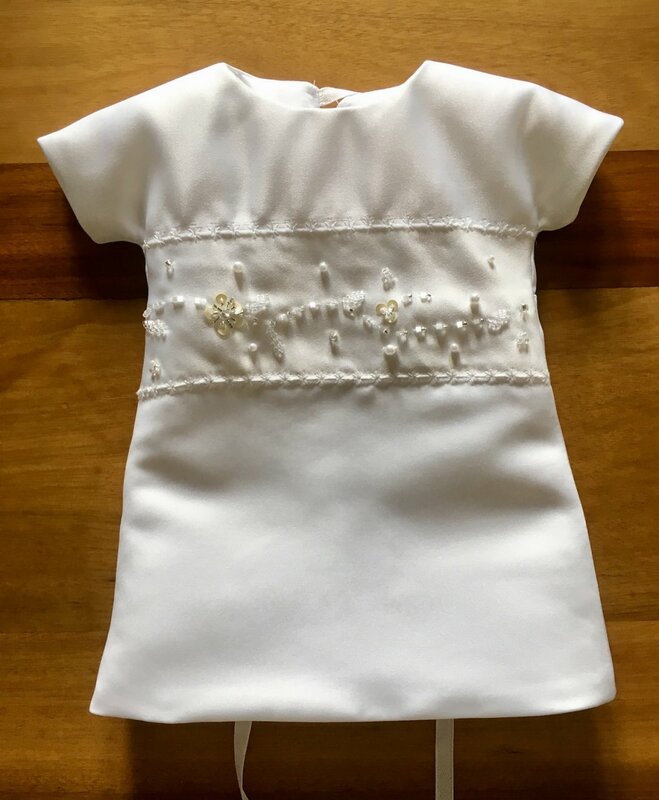 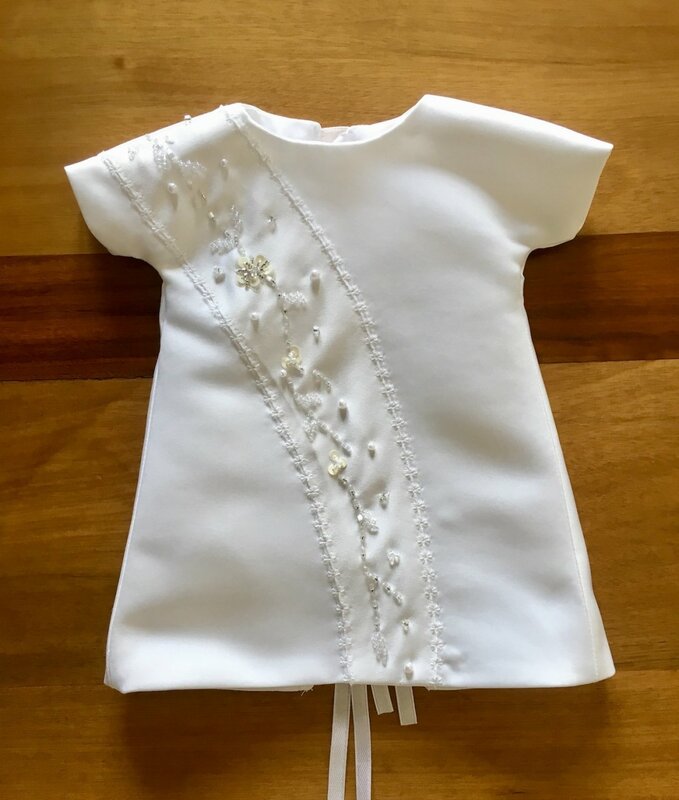 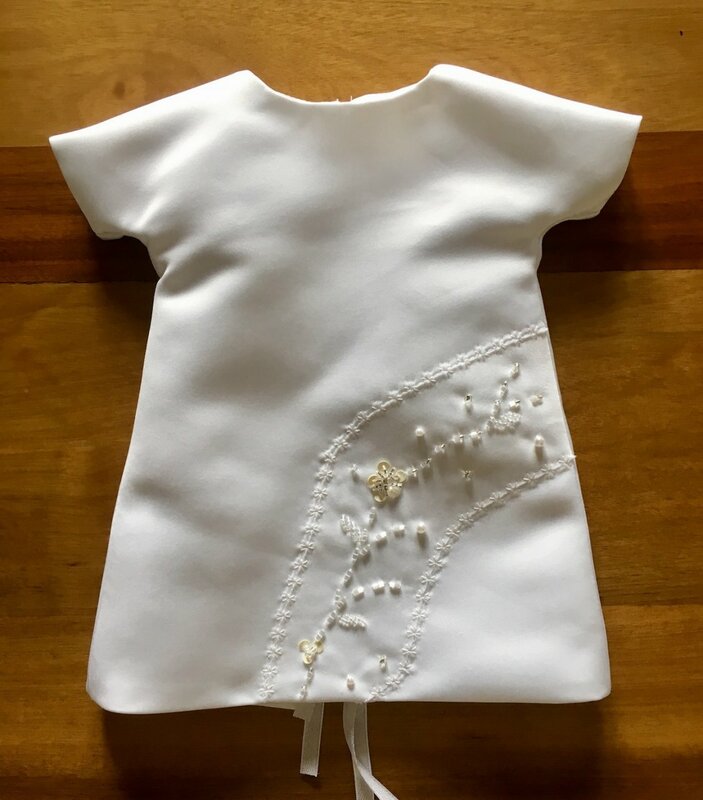 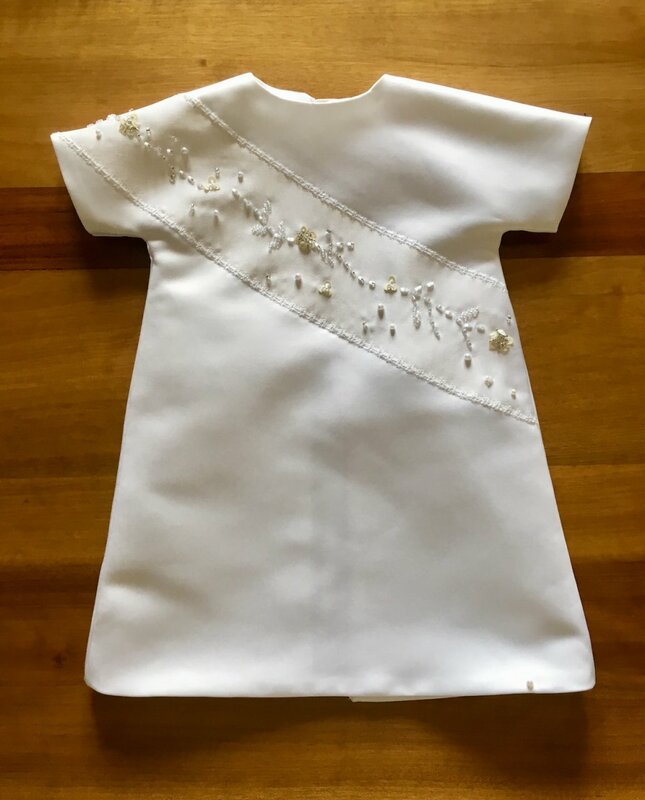 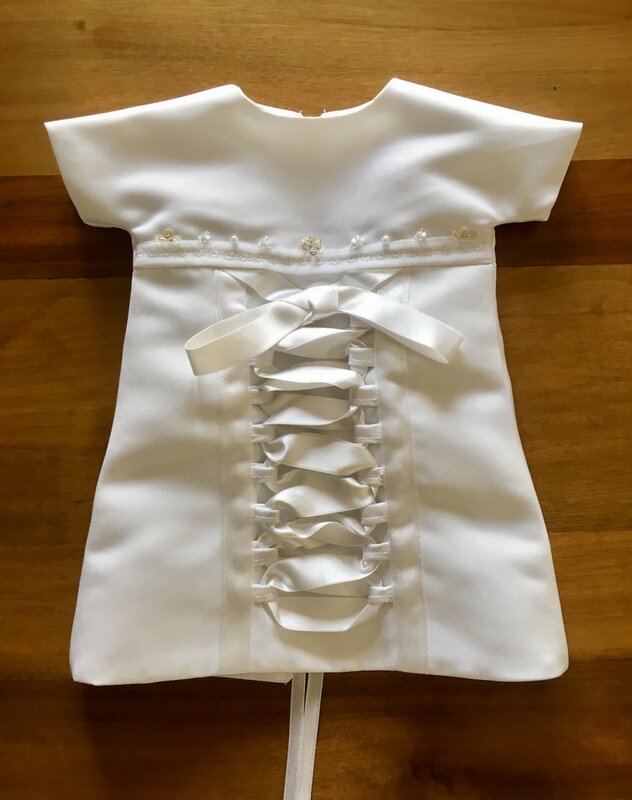 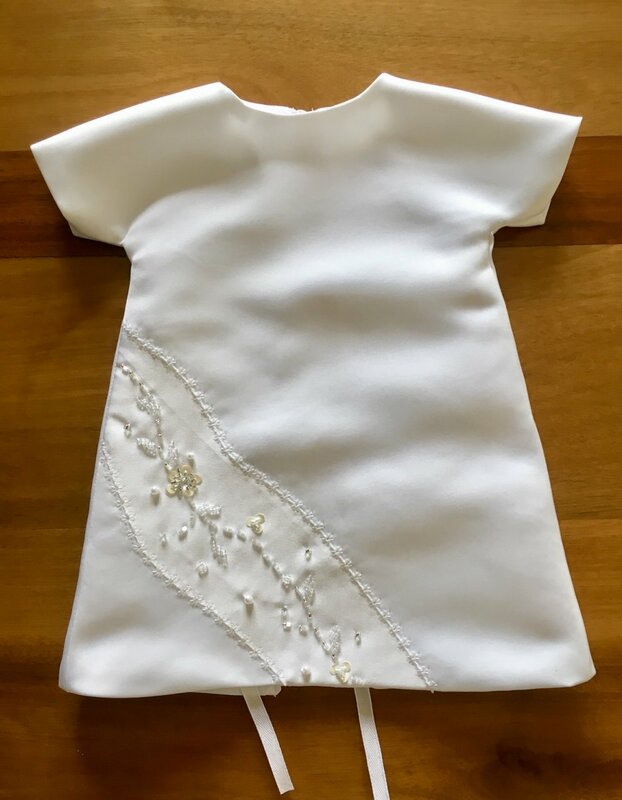 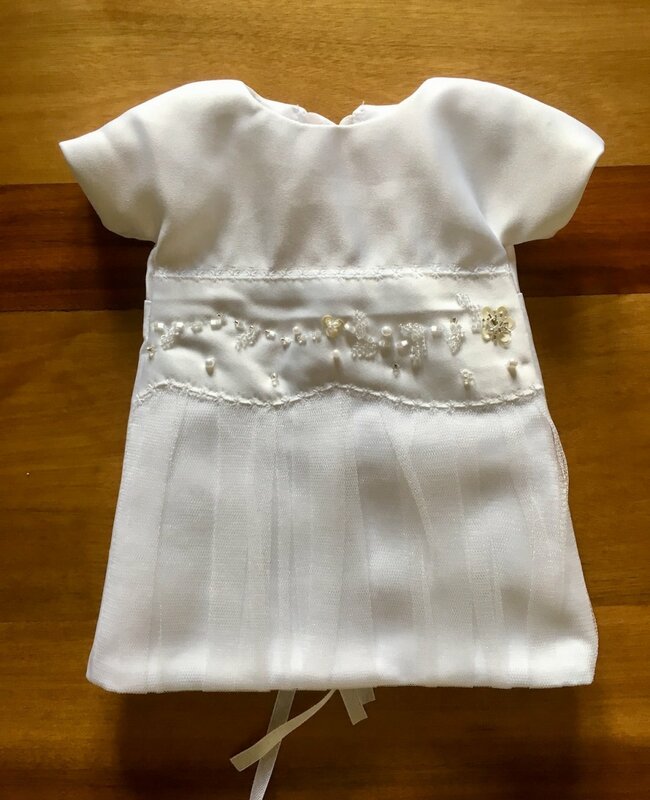 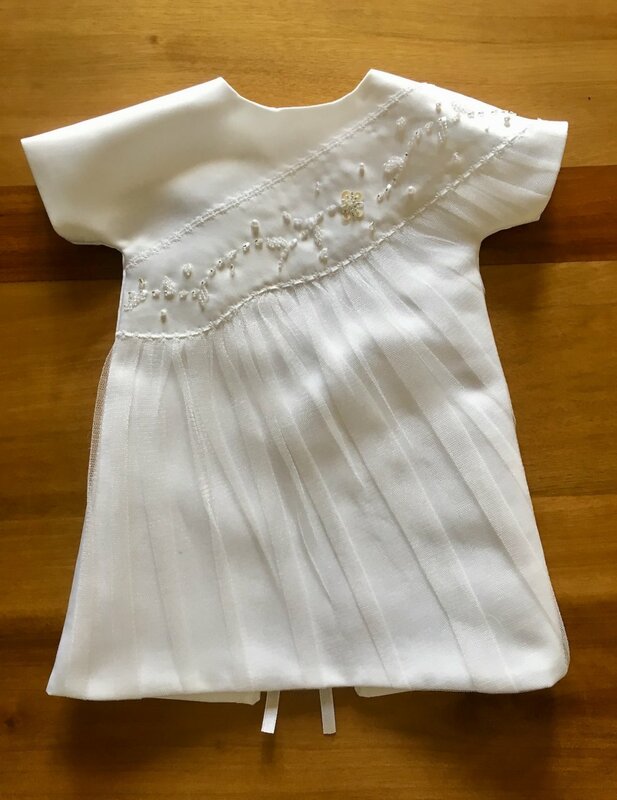 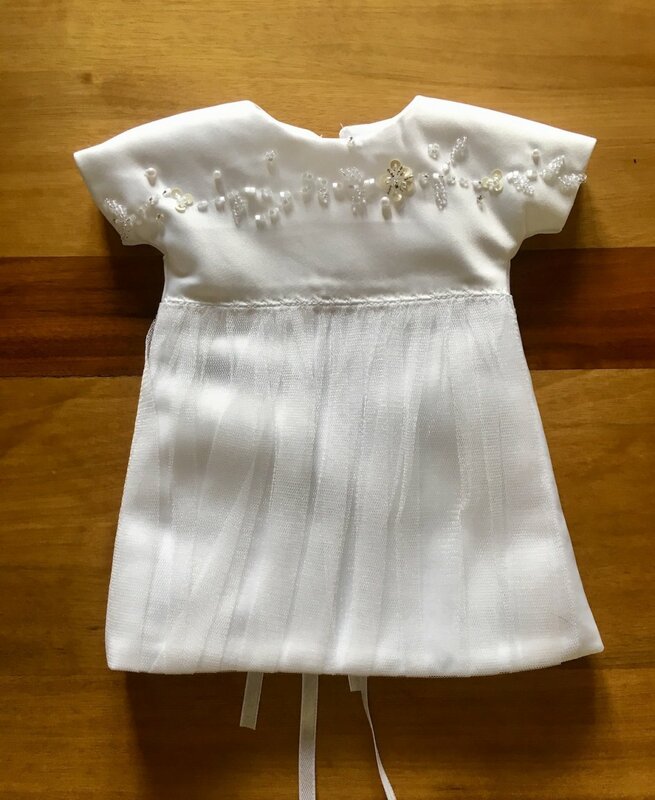 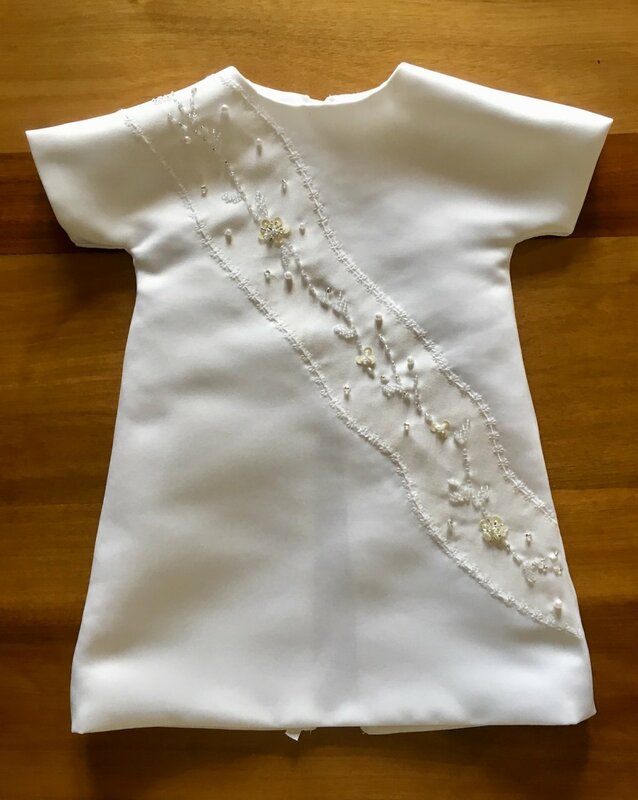 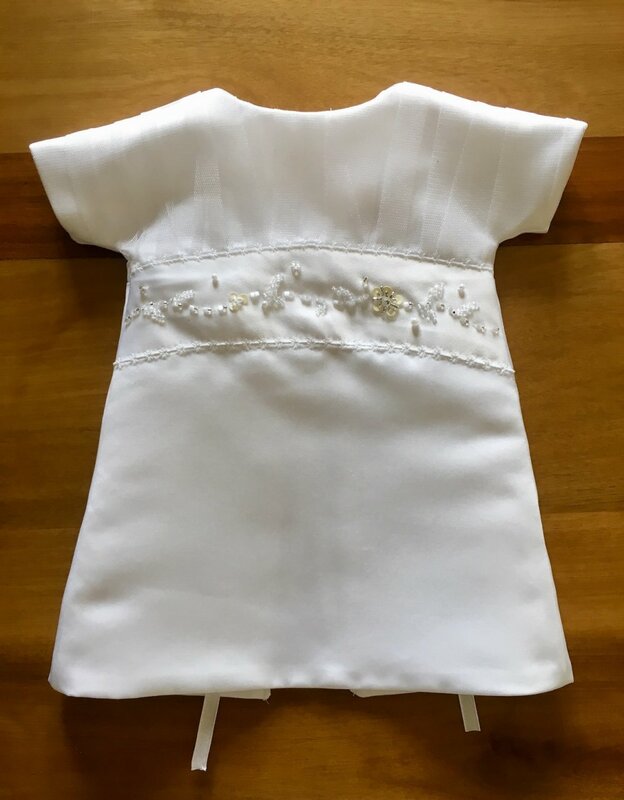 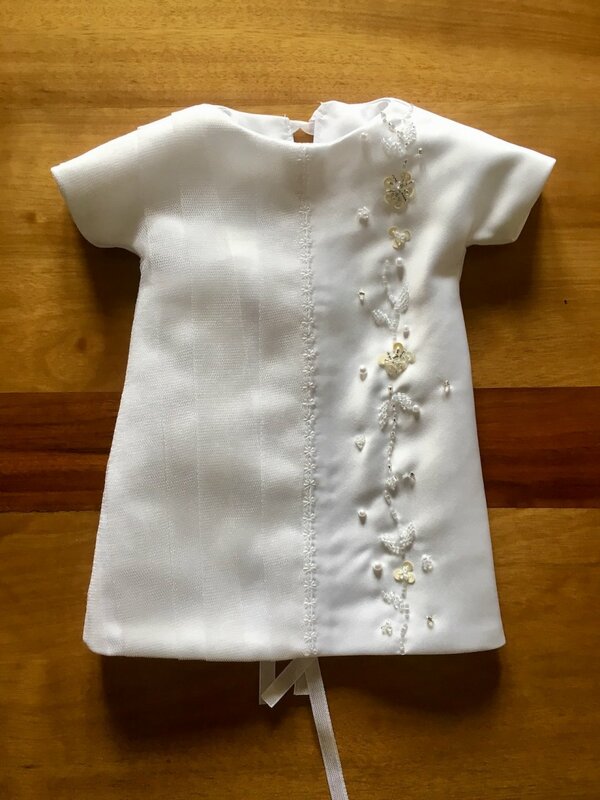 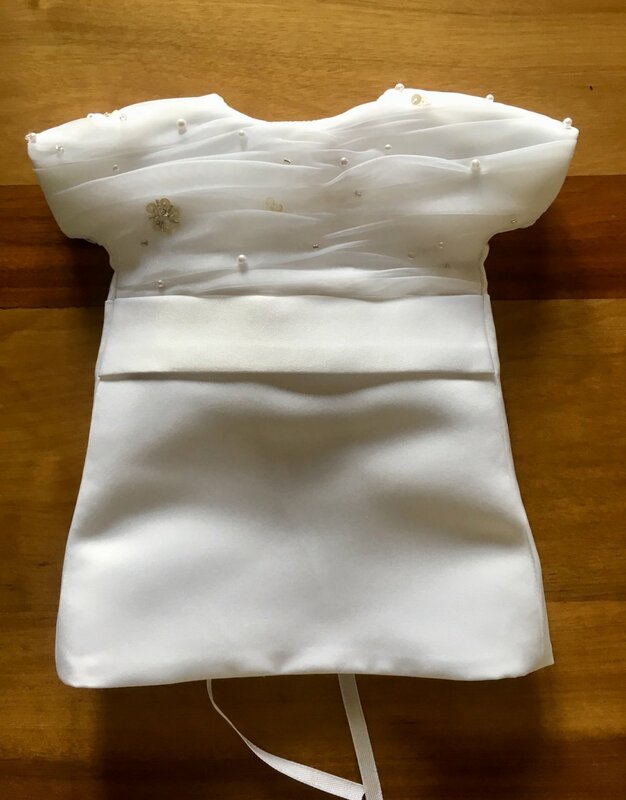 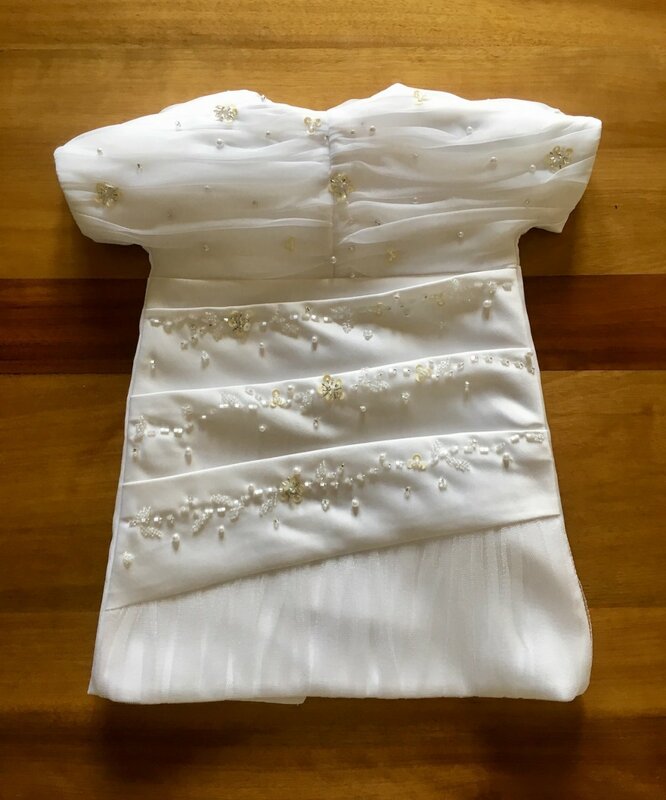 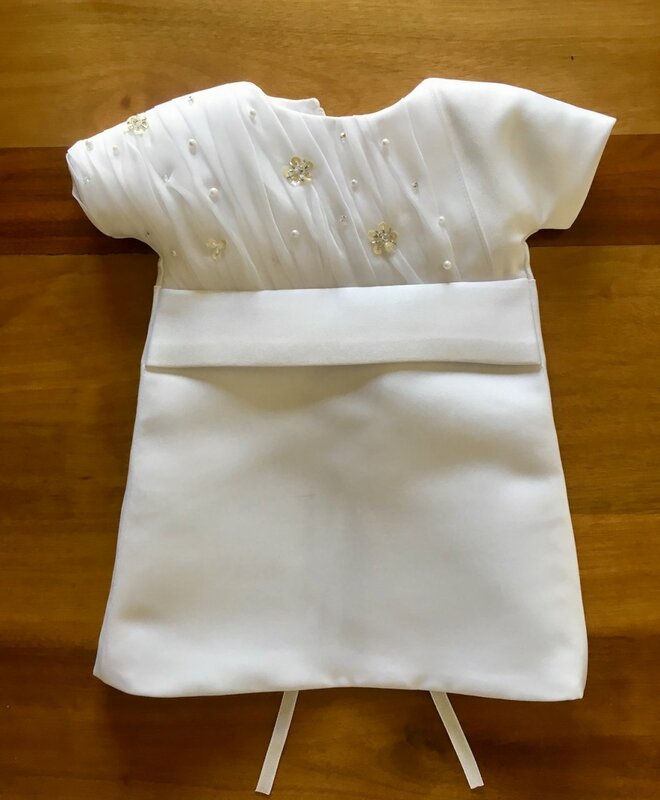 A total of 23 Angel Gown™ garments were repurposed from her wedding gown; 2 Newborns, 3 Preemies, 10 Tinys and 10 Micros – they are all viewable in the album below.